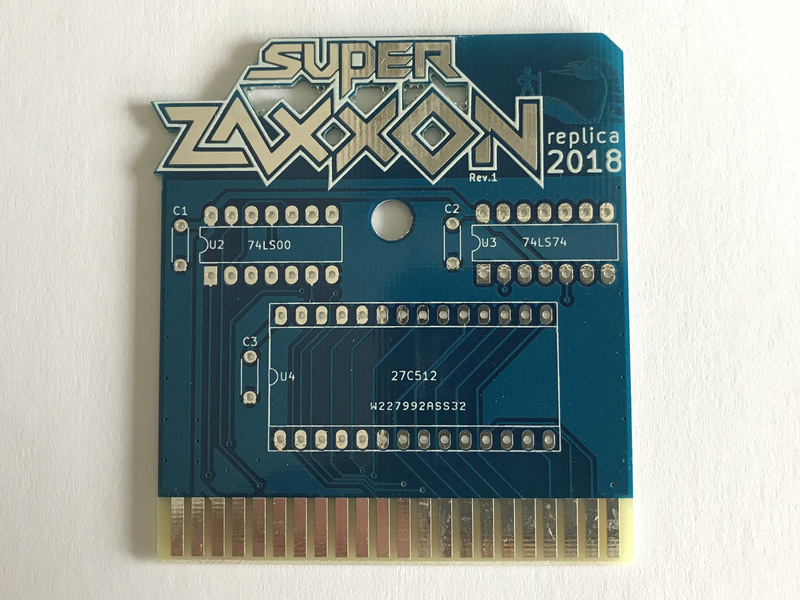 Due to the unique way of bank switching implemented by that module, it seems to be particularly vulnerable to glitches produced by PLA replacements. Less-than-perfect replacements tend to produce crashes or skewed graphics when running that game. 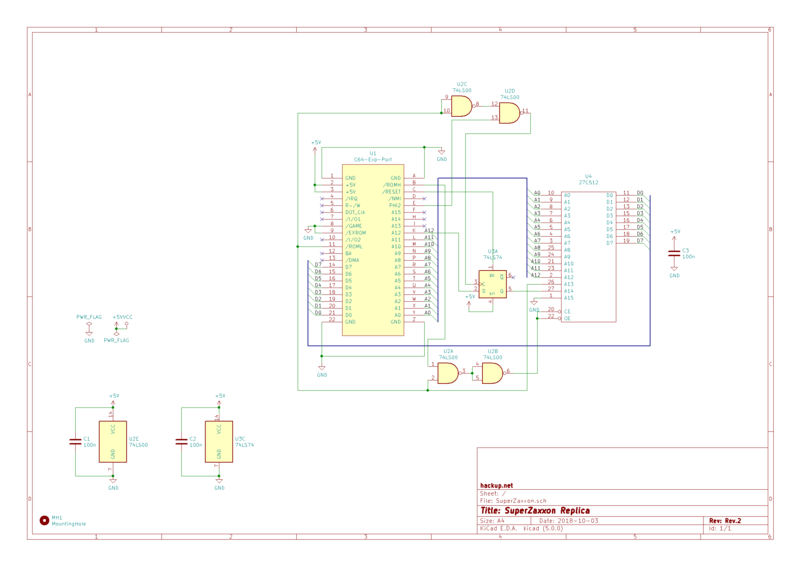 Schematics based on Siem’s design. 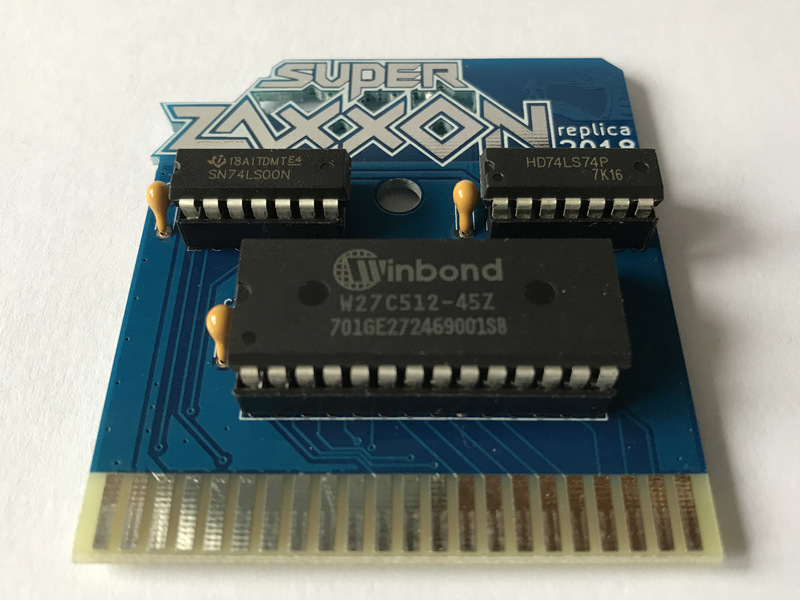 I don’t own a Super Zaxxon cartridge and they seem to be hard to find these days. 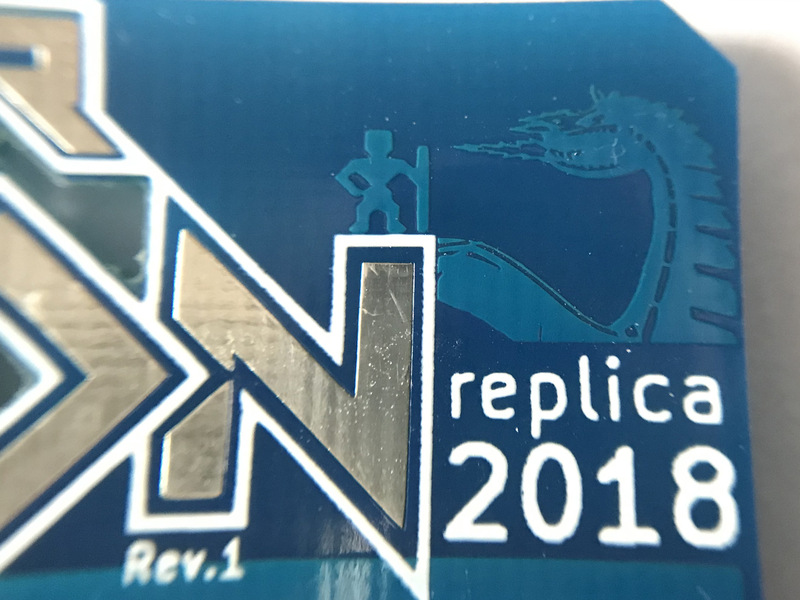 So I thought it might be fun to create my own replica. 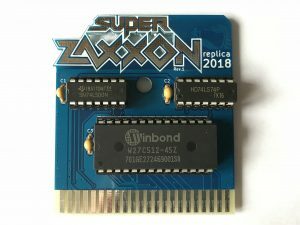 Doing the research for this project, I came across a post on the Lemon64 board. 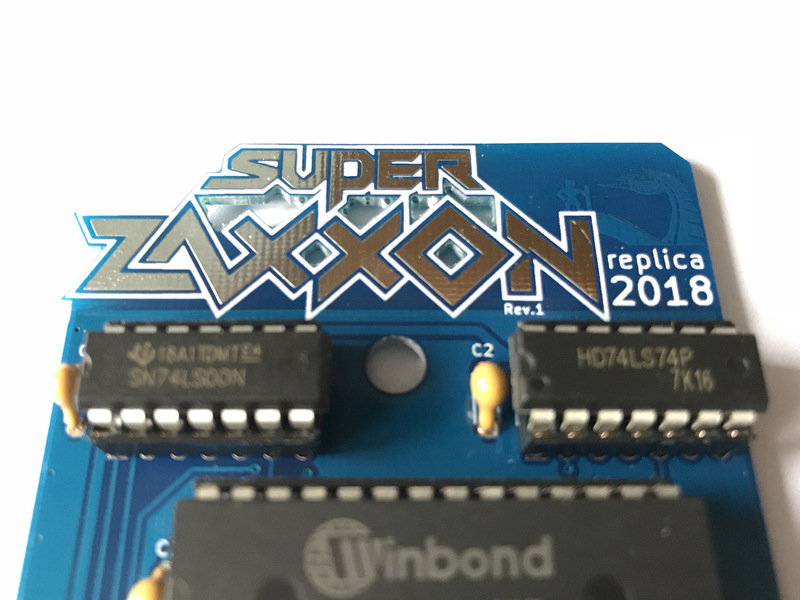 It turned out I was lucky: Siem Appelman had already examined the original module and documented the essential parts of the schematic. 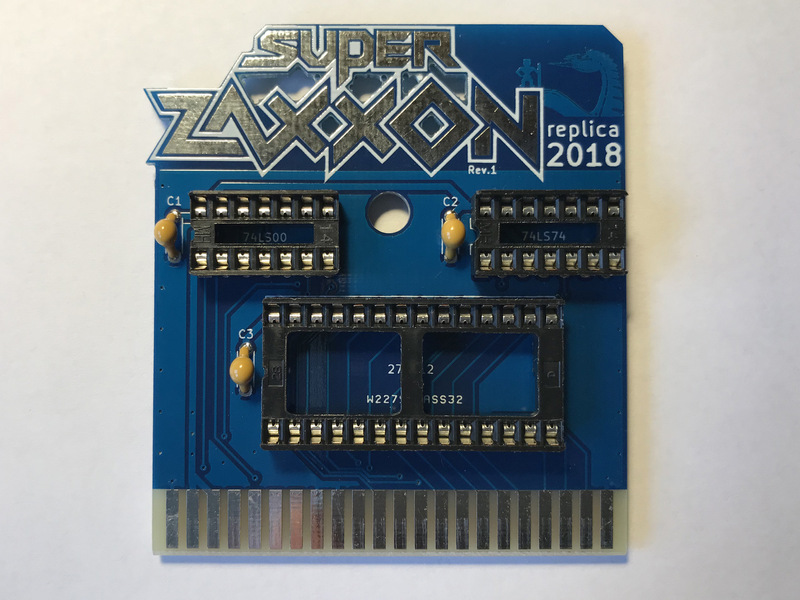 I contacted him and he was willing to share his findings, including his own design for a reduced version that would require a single memory chip, only. The game switches between the upper banks 0 and 1 by reading the contents of the lower memory either starting at $8000 or $9000. 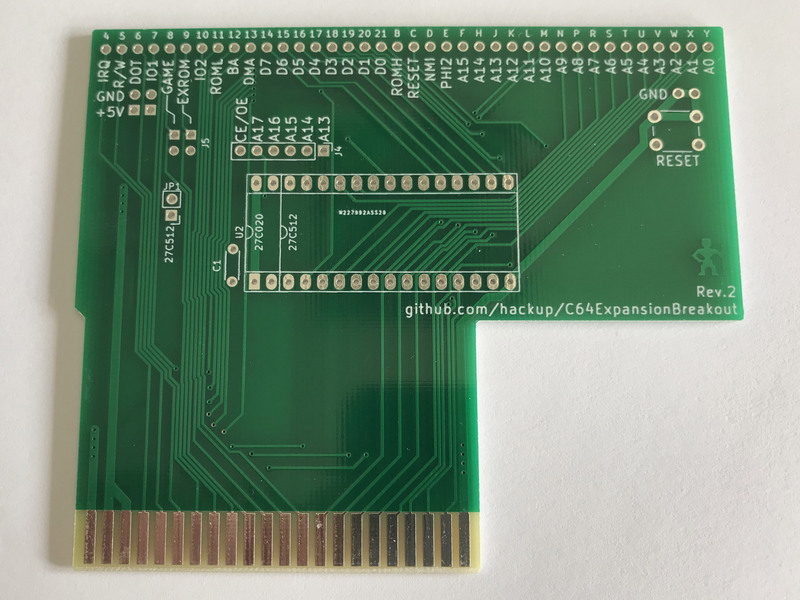 Rev.2 of the expansion port breakout board. 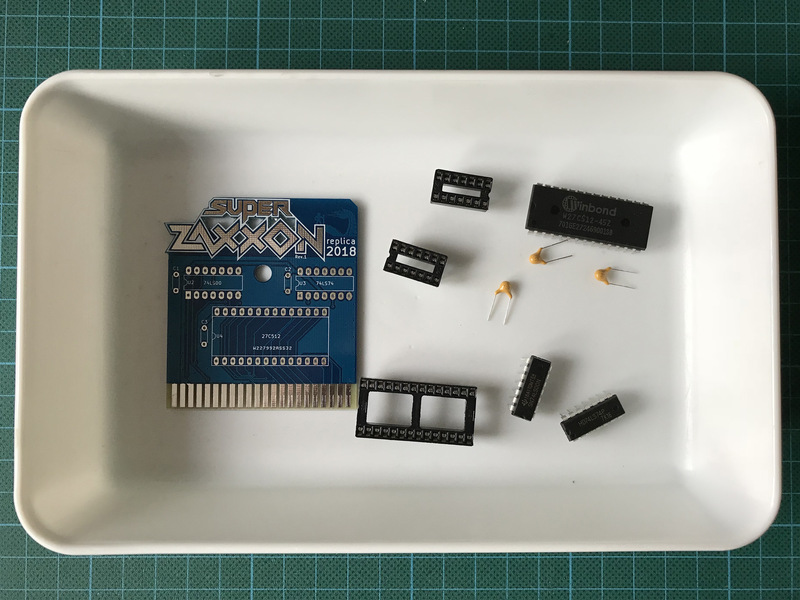 After rounding out the schematics with general knowledge on C64 cartridges gained from Jani’s excellent post, I first wanted to create a prototype to ensure that the design would be working. 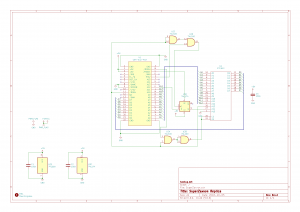 For this, I tried to use my expansion port breakout board that I had created for the 74LS279 test circuit. 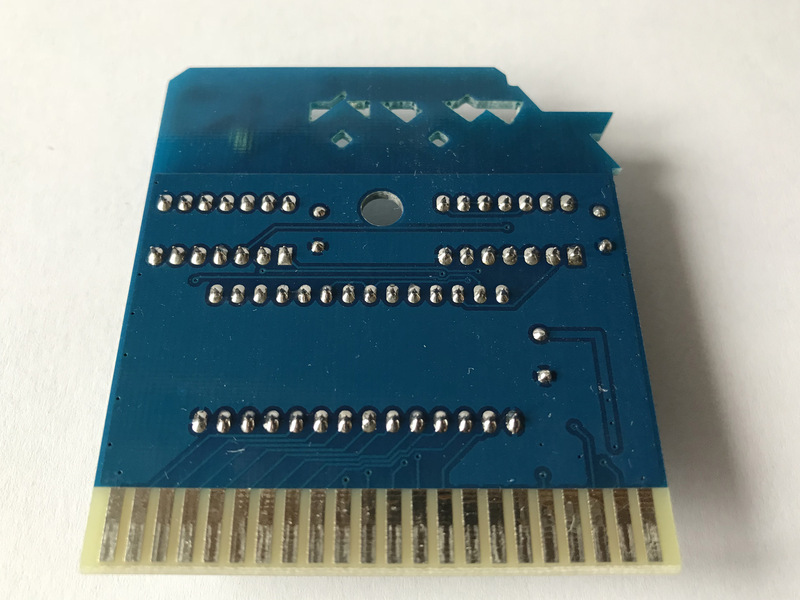 But I soon realized that connecting all the data and address lines to the EPROM using jumper wires wasn’t only a pain in the rather tedious but also very unstable. First working prototype of the Super Zaxxon cartrdige. So, I created a new revision of the breadboard adapter that allows for an optional 27C512 or 27C020 EPROM to be placed on the PCB and to be connected directly. Using this new board, I finally managed to create a working prototype! Actually, the prototype turned out to be working too well. 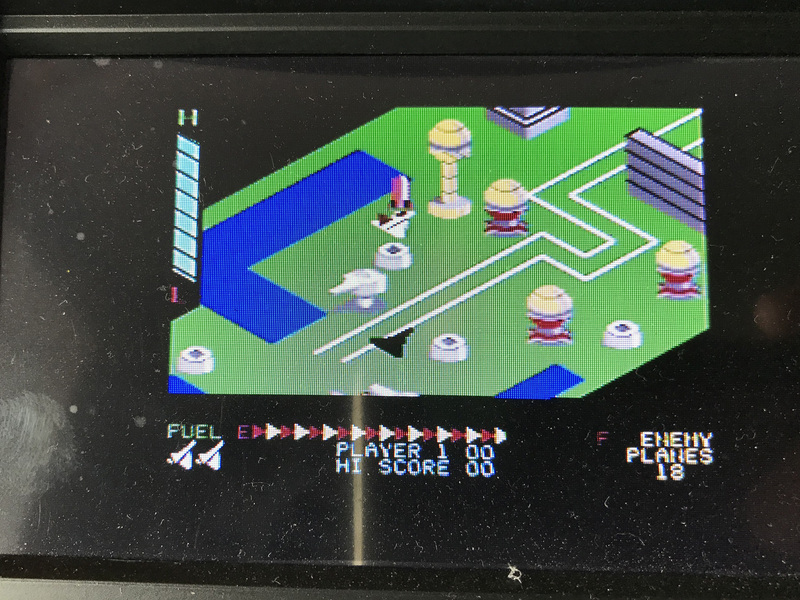 When I connected it to my C64 that is featuring the replacement PLA, I was a little disappointed that I still didn’t see any crashes or broken graphics. 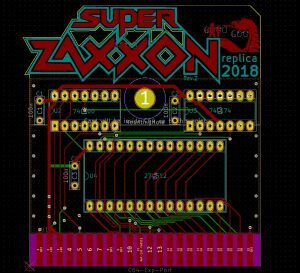 It remains to be examined whether this is due to the modified schematics or to an exceptionally well working PLA replacement, although I suspect the former. AND gate used in the replica’s schematic. 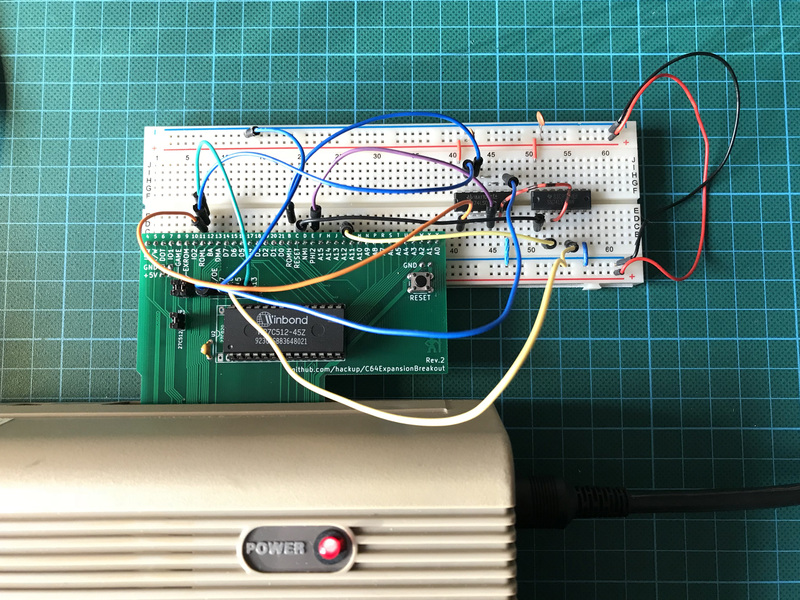 I did a few more experiments and found that driving the CE/OE line with two diodes and a pull-up resistor instead of the two NAND gates would still work on an unmodified C64 but would crash when using an EPROM based PLA replacement. 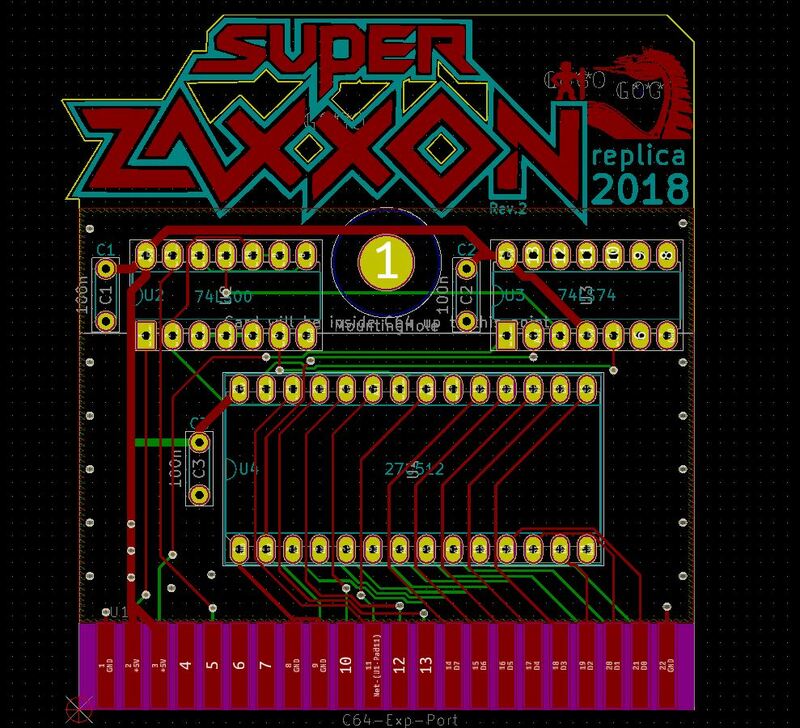 Then I lost interest in the subject and instead decided to layout a nice PCB to turn my prototype into a fully functional Super Zaxxon replica. The layout of the components was quite easy but I turned it up a notch by branding the PCB with the Super Zaxxon logo. 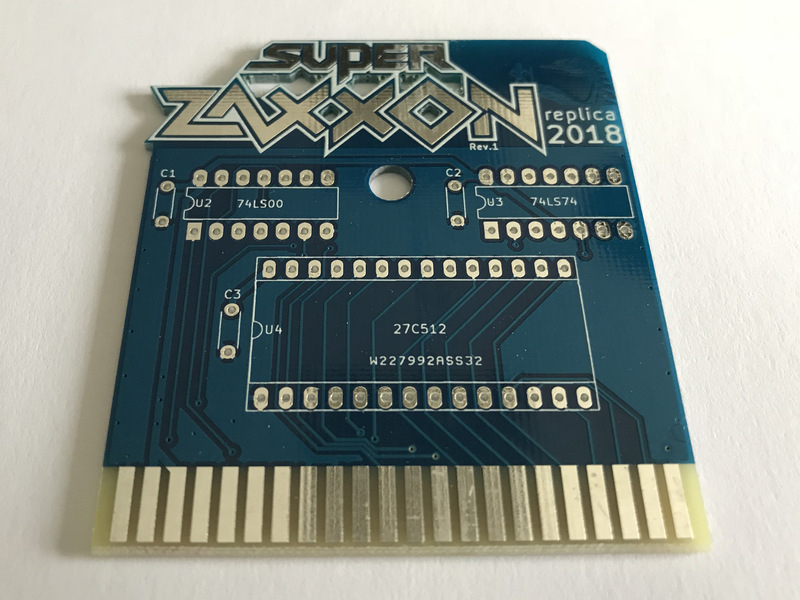 This time, I ordered the boards from PCBWay again and they did good job producing the somewhat unusual design at a very reasonable price. It would actually be a waste to hide the beauty in a cartridge case. Maybe a transparent one would do. All in all, this was again a fun project with many things to learn along the way. 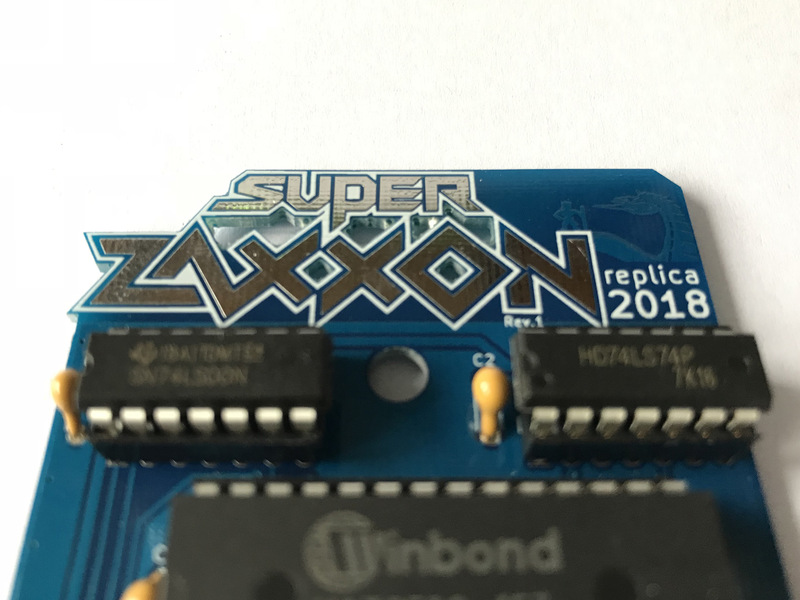 Very nice project and well done! 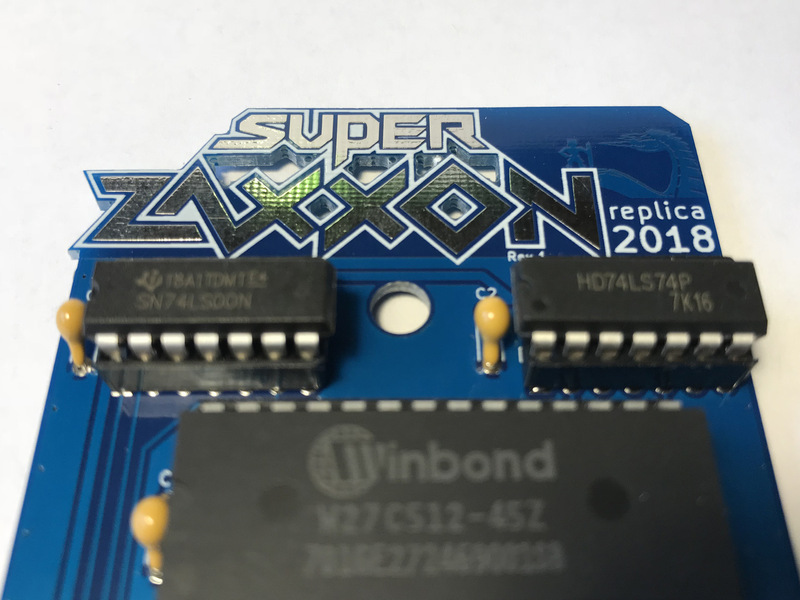 Will this board be available for purchase from PCBWay like the Pi1541? 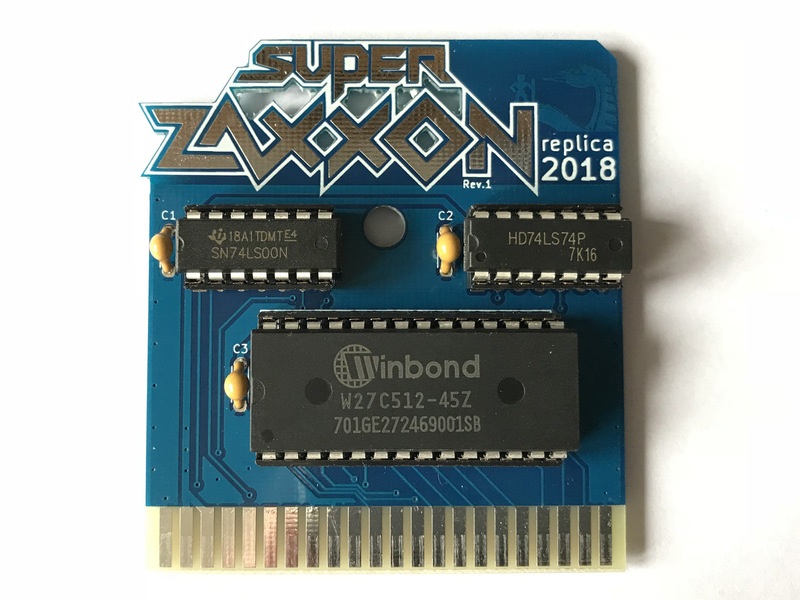 I would like to make this project publicly available, too. But I’m worried what Sega might do when they notice. So, I’m afraid the answer currently is “no”.